Chang's book is almost an anthropological study of young women in China. 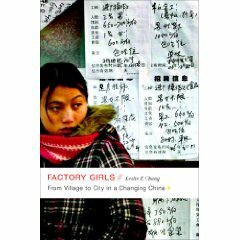 The focus is just a couple women, while the context is the factories of Dongguan in Southern China. She covers lots of day to day activities, from getting/leaving a factory job, changing cell phones, taking an English language class, eating, traveling, etc. This approach is very refreshing, with the hang up being "almost an anthropological study." Ms. Chang still holds on to a bit of journalistic approach, by forcing a story on top of the observation and also by missing larger and wider meanings. For example, lots of the behaviors that seem so surprising, like how her subjects can just change their lives, their personas, in a day, is actually related to their young age--they are after all just girls, but also a fundamentally different way Chinese view the self as created from the outside in, rather than the standard Western perspective of the inside out. Ltisten to my full review for more--it is a bit long, but mostly because I cover lots of detailed examples from the book. While not a research book, this book comes closer than any mainstream books in being honest with its observations. Ms. Chang lets the reader know exactly who she is meeting with, what information is observed directly and what is second hand. There is none of that third person narrative where a god-like observer lays out reality for us along with morality. Chang avoids morality totally, even though she is up front about her own biases, especially at the start. Observations are very much from the perspective of the girls, and by incorporating that very deep and honest communication, Ms. Chang quickly finds a voice that incorporates the girls' perspective and that quickly eliminates any morality from a Western perspective. This is a very well done project, that any researcher in China could learn a lot from, and for marketers, these are the consumers that will make up the mainstream of China's middle class. Time to wake up and understand their complexities, which have much less to do with factories, and a lot more to do with Chinese culture, which we see right across Greater China. Length: 33 minutes 22 seconds. 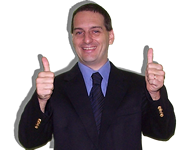 Download MP3 15.3MB (Right click->Save As).